Update: You can find my verdict on Shogun 2 here. I’ve now finished the Total War: Shogun 2 campaign (short length, Hard campaign difficulty and Normal battle difficulty, playing as the Shimazu), and I can update one of my earlier impressions. In my previous post, I mentioned that getting too close to the finish line would trigger “realm divide” – a final showdown, with “almost every single computer player in the game [declaring] war” on the human. It turns out this is not quite correct: even after realm divide I was able to stay on good terms with several allies both large and small. How did I pull this off? You see, realm divide’s effect is indirect – it works by lowering the human player’s relationship with the AI players. This negative modifier is big to begin with, and grows turn after turn after turn (there is a cap, but it’s ridiculously large). When that relationship becomes sufficiently negative, the computer will declare war1. The trick, then, is to pile on every positive modifier possible. Research techs (such as the tea ceremony) that grant a bonus to diplomacy, and keep your daimyo’s honour high so everyone will be more fond of you. Then bribe your chosen buddies to get the ball rolling. Once they’ll agree to it, wed their daughters (or vice-versa) for another, large positive modifier. Strike an alliance for a further boost to relations. Exchange hostages – in my case, an eight-year-old grandson – for yet another boost. And for good measure, declare war on their current enemies (you’ll fight them anyway once the realm divides) for a final bonus. The net effect: I never had to take on more than a handful of enemy factions, and the ones I did fight were usually busy with wars on other fronts as well! Good relationships bought me the time to win the game before my allies, too, turned on me. In other words, diplomacy made the final war manageable before I fired the first shot. That is how it should work in a game like this. 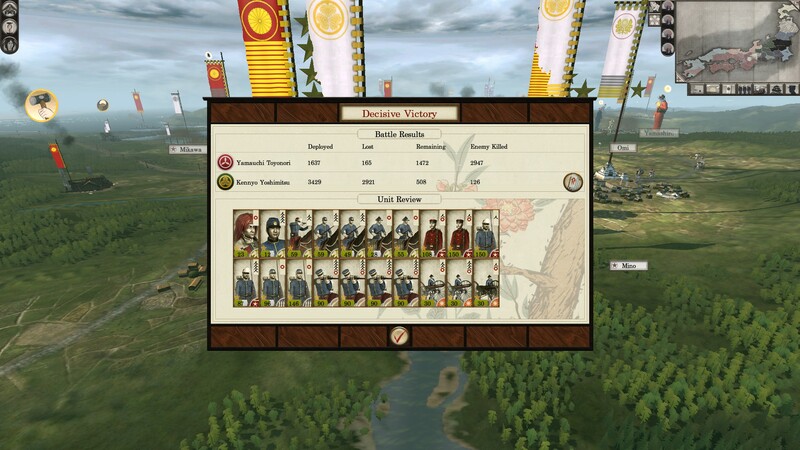 Seeing diplomacy done properly in Shogun 2 underscores how weak it was in the previous Total War games. 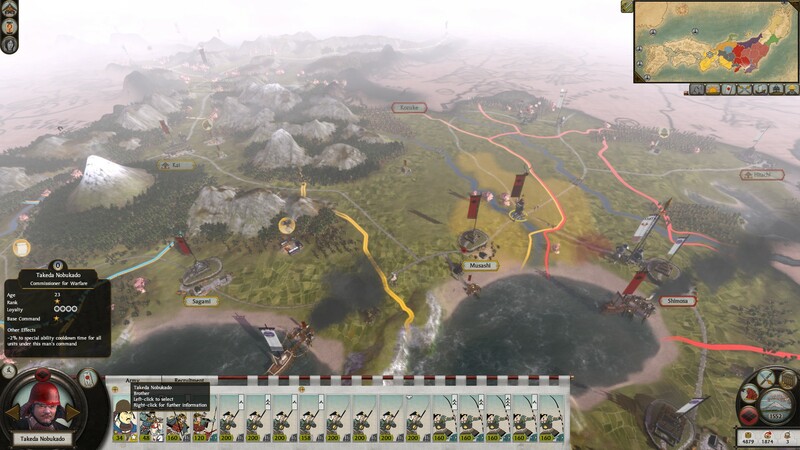 Afterwards, I loaded up Empire: Total War – from 2009, just two years ago – to compare the available diplomatic options, and boy, has Shogun 2 come a long way since then. 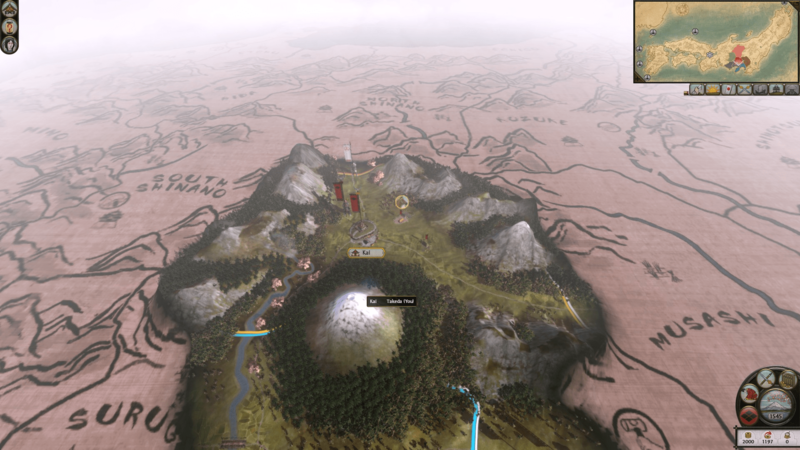 Empire has barely any tools I can use to influence a relationship – I can give gifts, I can return land, and, uh, that’s about it – and the options which are there, in my experience, do not work nearly so well as they do in Shogun 2. Suicidal computer players, ahoy! 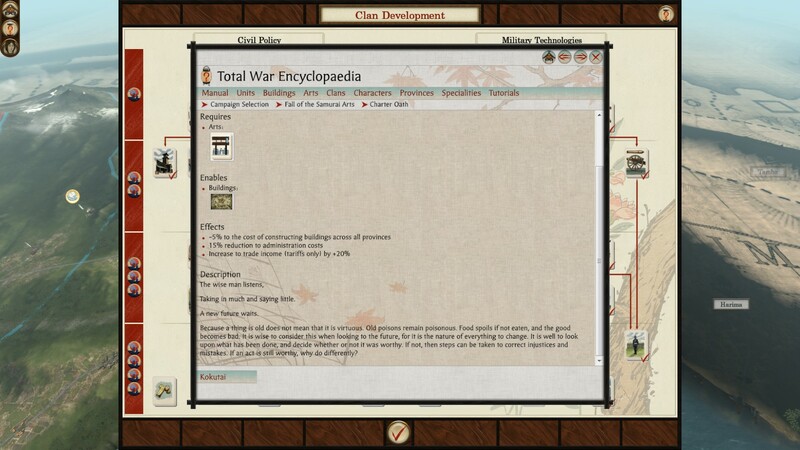 Shogun 2 also showed up the weakness in the diplomatic system of another game, one you might not immediately think of: Civilization V. Its predecessor, Civ IV, is much like Shogun 2 in that it provides plenty of ways to butter up a computer player, from trade to missionaries and shared faith to open borders. Civ V is a big step back from that. It offers a bare handful of ways to influence a relationship (I can sign “declarations of friendship”, denounce people I don’t like, and… what else? ); those features present are poorly documented; and the computer’s attitude can feel infuriatingly random. This was not helped by a design decision to make diplomacy feel more like interacting with other humans – who are explicitly out to win, who are harder to read, and who are more prone to treachery – and less like the application of a game system. Firaxis undid some of the damage in a patch that allowed you to see some of the factors underlying the computer’s attitude, but the lack of diplomatic tools remains. The overall result, as I wrote around Christmas 2010, is an unpleasant throwback to Civ I, a game that’s 20 years old this year. In contrast, Shogun 2 does appear to owe something to another game renowned for its diplomacy: Galactic Civilizations II, the 2006 4X game from Stardock. I only played a moderate amount of GalCiv2, but I did observe that like Civ IV and Shogun 2, it offered plenty of tools to influence relationships – including techs that conferred a bonus to diplomacy, an idea that Shogun 2 may well have picked up from here. What underpins the successful diplomacy in Shogun 2 is the clear link between investment and payoff. In an RPG, if I spend points on my speech skill, that visibly pays off when I unlock new dialogue options. In Shogun 2, if I spend my money raising an army, that visibly pays off when I take my new recruits and use them to conquer my neighbour. 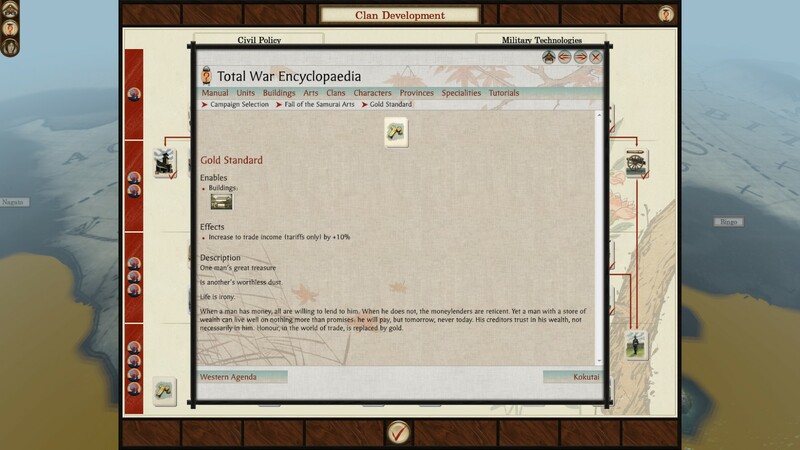 And in Shogun 2, if I spend my money on bribes/gifts to other factions, my in-game time researching the tea ceremony when I could be researching gunpowder, and my real-world time messing around in diplomacy screens, that visibly pays off in a secure border and healthy profits from trade. In turn, this is the result of both successful design and execution. 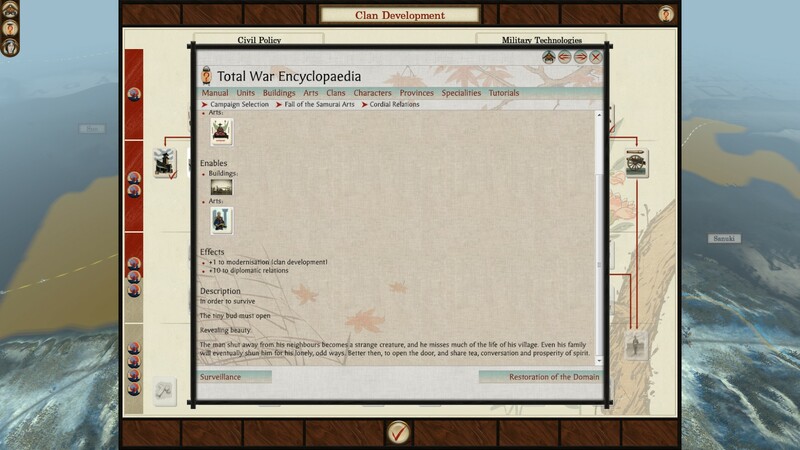 From a design perspective, Shogun 2 provides players with a whole menu of options, most of which involve a tradeoff of some kind (the “investment” part of the equation), while making it very difficult to take on everyone at once in the endgame, especially in the absence of trade income (the “payoff” part of the equation). And from an execution standpoint, these tools work because the diplomatic AI in Shogun 2 is not – at least, in my experience so far – the spiteful and bloody-minded brute that it is in so many other games. Offer a good enough deal, and it will accept. Treat it well enough, and it will be your staunch ally for years. The benefits to gameplay are real. Good in-game diplomacy means less whack-a-mole, more choices, more strategy. More intangibly, it contributes to immersion and suspension of disbelief. RPGs have party members and non-violent quest solutions, adventure games and shooters have sidekicks and snappy dialogue, Gondor had Rohan, and strategy games should have proper alliances. If even so martial a game as Shogun 2 can succeed here, then other strategy games should follow suit and offer us the rewards of jaw-jaw. This is the third post in my series on Shogun 2. You can find my early impressions here and my write-up of the game’s diplomacy here. Total War: Shogun 2 is the latest entry in Creative Assembly’s grand strategy, conquer-all-before-you franchise, and its core strengths are those of the series as a whole. Play Shogun 2 for making you feel a master strategist as you build cities; develop farms and mines; raise armies and march them across a beautifully drawn map of Sengoku Japan. 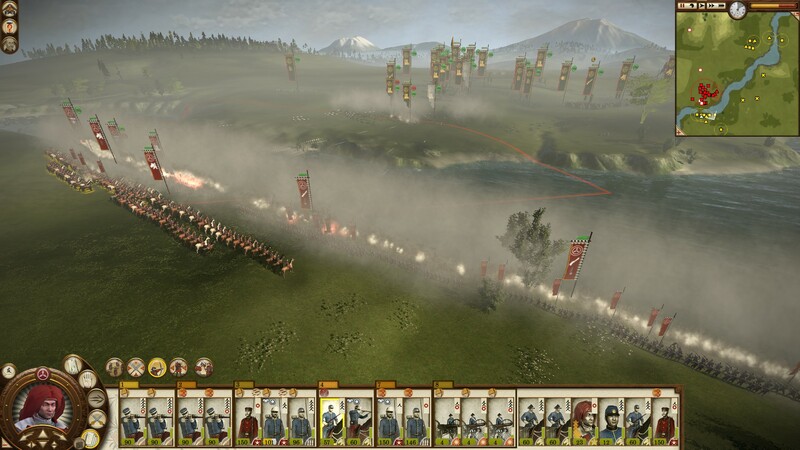 When those armies meet, play Shogun 2 for making you feel a natural general as your samurai flow across the battlefield with an easy click of the mouse. Play Shogun 2 for the tension as you wonder how long your beleaguered men can hold, and for the thrill of triumph as you tilt the balance with one well-timed charge. 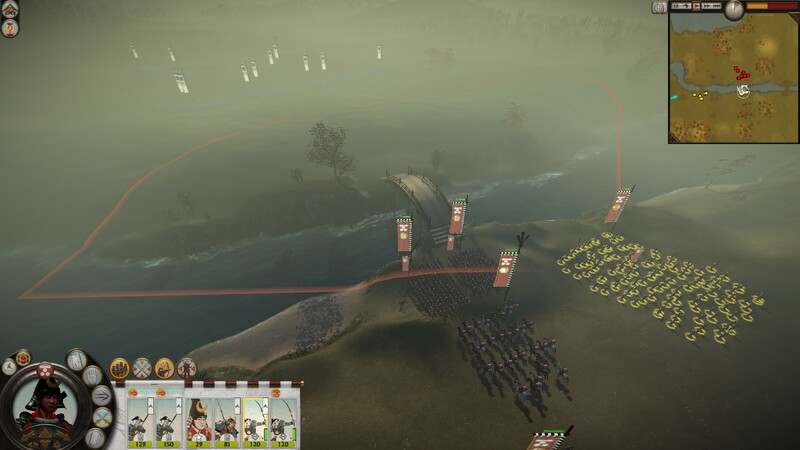 But unlike its predecessors, Shogun 2 offers more than that, for this is the game where Creative Assembly applied the lessons learned from earlier missteps. 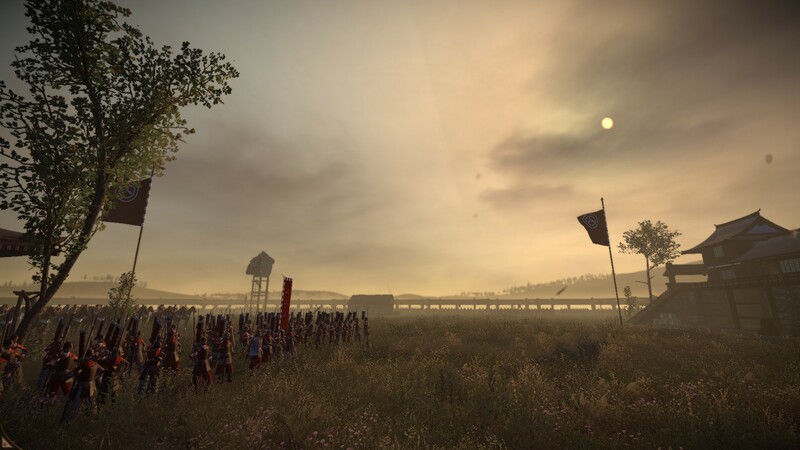 Where previous Total War titles started strong but wore out their welcomes with boring late games, Shogun 2 is about planning and preparing and gathering momentum for a decisive endgame showdown. 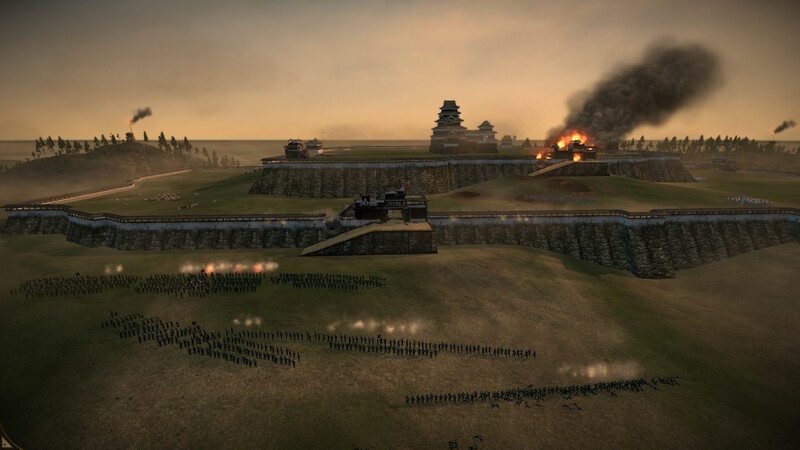 Where previous Total War titles were aptly named because diplomacy was so dysfunctional, Shogun 2 makes diplomacy not only viable, but a vital part of the preparation for that showdown. Where previous Total War titles were buggy and often crash-prone, Shogun 2 seems much more stable. Where previous Total War titles suffered from risibly inept AI, Shogun 2’s computer opponent appears more capable (though it still sends generals on suicidal cavalry charges, while failing to repair ships). 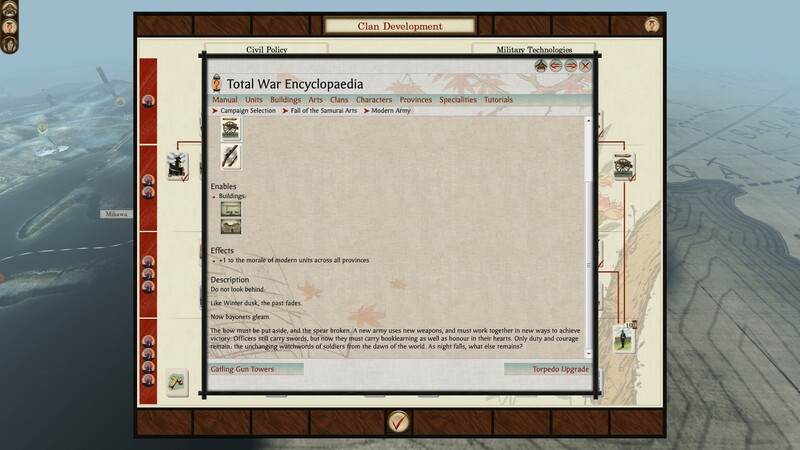 Last but not least, where it was painful to keep track of a growing empire in previous Total War titles, Shogun 2 offers a far more user-friendly and better-documented experience. In technical terms, then, Shogun 2 is a very good strategy game, one from which other developers could learn, and one that benefits from being built upon the foundations of previous mistakes. It even nails pacing and diplomacy, two elements that strategy games struggle to get right. The question of whether it is a great game is more subjective. As a game, Shogun 2 is so much better implemented than Empire: Total War that it makes me sad for the wasted potential in the latter, but I will still cherish how Empire brought to life a pivotal historical period and the real-world importance of seapower. Shogun 2 sheds no such light for me, but this is more a function of my own interests* rather than being any fault of the game’s. All in all, I would recommend Shogun 2 to any strategy gamer (especially one interested in the Sengoku era!) who would like to see the series’ core mechanics at their most refined. 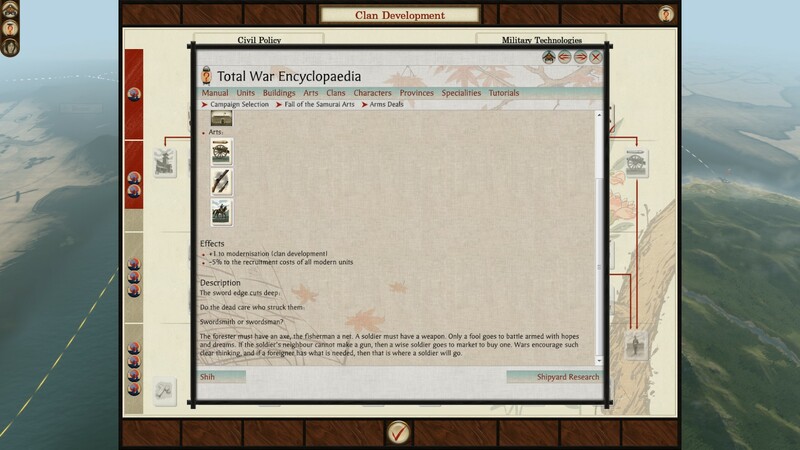 * While I am interested in Shogun 2’s subject matter, the Sengoku era in Japan, I am even more interested in Empire: Total War’s scope and subject matter: the Enlightenment, the wars of the eighteenth century and the dawn of the modern world. You can buy Total War: Shogun 2 from Amazon here. Length of time spent with Shogun 2: Roughly 29-30 hours’ playtime (adjusted for time spent away from the keyboard). What I have played: Two short campaigns (one aborted as the Oda, one won as the Shimazu), two historical battles, several custom battles, several “classic mode” multiplayer battles. What I haven’t played: The avatar conquest multiplayer mode, the multiplayer campaign. Fresh from winning every* battle in a Shogun 2: Rise of the Samurai campaign and still losing the war, I found some much-needed comic relief in the following video. My favourite segment is the one beginning at 0:18, but it wasn’t an easy pick! Separately, Matchsticks for my Eyes wishes you all a very merry Christmas and a happy New Year. Thanks for reading, and may you experience many wonderful stories in the years to come! "The Battle of Hakodate", c. 1880. Artist unknown. Courtesy Wikipedia. Note: my final review can be found here. I like the balance between firearm and traditional units. At first, cheap spear levies should remain the core of any army – early muskets are inaccurate and slow-firing, which makes levy musketeers better suited to manning fortress walls than to the open field. However, it doesn’t take long (~12 turns) to unlock modern rifles, which shoot much faster and more accurately than the muskets. Train up a decent force of riflemen (again, this doesn’t take long; they’re not too expensive, and they only take a single turn to recruit), and you can safely relegate the spearmen to anti-cavalry support or castle wall fodder. And not only does better technology unlock new units, it also grants bonuses to the basic ones, so those basic riflemen remain useful later on. In my first game, it was a delight to give a whole army of charging samurai a lesson in modern warfare. Fortress assaults are even more lethal, due to the ubiquity of guns. Against well-defended castles, artillery seems to be essential. I have yet to get the hang of naval warfare. Unlike Empire and Napoleon: Total War, all the ships are steam-powered, so the wind doesn’t play as big a role as it did in those games. For now, it seems to be a matter of bringing the most (and the most technologically advanced) cannon, engaging broadside to broadside, and praying one of your ships doesn’t blow up to a lucky hit. I have not yet unlocked the high-end naval units (ironclads and torpedo boats), so these might shake up the equation. Naval bombardments are cool without unbalancing the game. 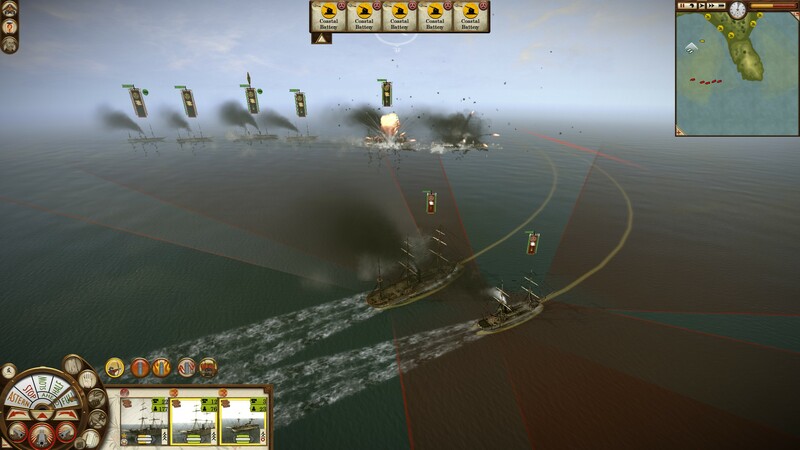 If a land battle takes place near a friendly fleet, you can call in up to two barrages. While powerful, they have a very long cooldown and aren’t especially precise, so navies aren’t the “I win” button. Money is harder to come by. There are no more trade nodes, so to obtain goods for export (silk, tea, etc), you have to seize the provinces where they’re produced. As such, resource-producing provinces are now far more valuable than in the base game. This is even more pronounced when playing on “hard” difficulty, in which everything is more expensive. On “hard”, the AI loves to dogpile you – especially if you’re at war with its allies. You do get significant diplomatic bonuses with clans that share your allegiance (pro-shogun or pro-imperial), but that, by itself, is no guarantee of your safety. In this regard, Fall feels similar to the previous expansion pack, Rise of the Samurai. The in-battle voices have deteriorated. No more Japanese voice acting from your units, no more “yari ashigaru de gozaimasu!”, and no more advisor yelling, “shameful display!” Instead units acknowledge orders in accented English a la Rome: Total War, and the battle commentary now comes from a hammy, booming-voiced, all-American sort (“The enemies’ allies run like he-eathens from a preacher, sir!”). I liked things better in the original. Still, this is a relatively minor problem for me. The “hard” difficulty setting lives up to its name – after a while, I found it more frustrating than fun. “Hard equates to more demands on less money (costlier buildings + more enemy armies to fight), and the overall difficulty is closer to Rise of the Samurai than to the base game. Unless you’re a lot better than me at Shogun 2, I don’t recommend Hard for your first game. Apart from the difficulty, though, so far so good. I missed Empire’s gunpowder warfare, and I’m glad to see it back in Shogun’s more polished form. Watch this space for more! UPDATE: So as of late 1867, I can state that on “normal”, the short campaign is quick enough to finish in a single day. I haven’t finished… yet. But I’m two provinces away from fulfilling the victory condition (14 provinces, plus Kyoto and Edo in the hands of Shogunate-aligned clans), and standing on the cusp of realm divide. I could easily have won the game any time in the last hour and a half; I’ve just been holding off so I can unlock the endgame units (Gatling guns!). UPDATE 2: Went back to an earlier save and won the campaign, on “normal”, in one day! Hurray! UPDATE 3: Reflecting on my campaigns as Nagaoka, I feel disappointed with Fall. While as noted above, I really like Fall‘s basic building blocks, the difficulty and pacing have prevented my early experiences from becoming the sum of their parts. I’ve described above my problems with the “hard” campaign, and “normal” turned into a pushover once I got past the early game — all the nearby clans were either friendly, too small to be a threat, or both. And since I was playing the short campaign, realm divide wasn’t a serious danger: this only kicked in after I took 13 provinces, and only needed one province more to win! (The victory thresholds, at 14 provinces for the short campaign and 26 for the long, are far lower than for the base game.) However, I’m willing to give Fall another chance: it’s possible I was (A) unlucky*, (B) playing a less fun faction, (C) unwise to play a short campaign, (D) not experienced enough for my first, “hard” campaign (when I was still learning how Fall worked) and too experienced for the later, “normal” campaign, or (E) some/all of the above. I look forward to reporting back once I’ve tried another campaign. Hello, and welcome to my Let’s Play of Total War: Shogun 2. Shogun 2 casts players as a daimyo, one of the regional warlords of sixteenth-century Japan. The ultimate goal is to march on Kyoto, at the centre of the map, and enthrone oneself as shogun. 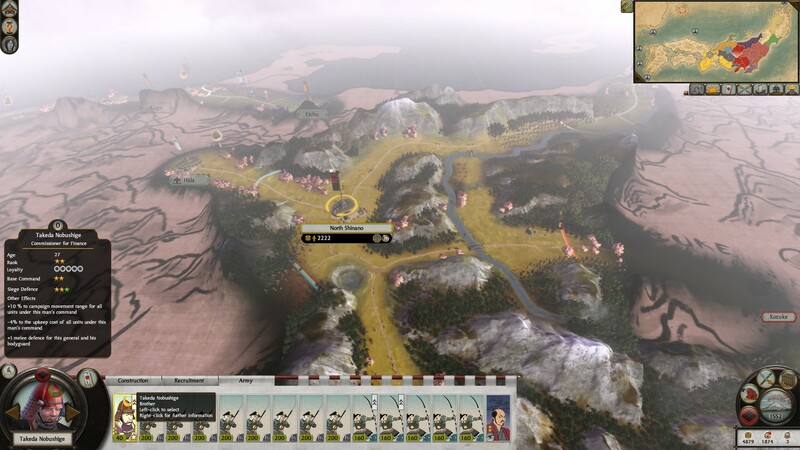 Along the way, the player must manage a realm, raise armies, and command them in battle. The game triumphs on every level — as an exercise in strategic decision-making; as an epic come to life; and as an aesthetic treat. It is my favourite strategy game of all time. For this run, I have opted to play as the Takeda clan, led by one of the most renowned warlords of the period — Takeda Shingen. This is, in fact, my second Takeda attempt — I abandoned the first after painting myself into a corner. I turn the game’s difficulty up to “Hard”, which affects both the strategic map and the tactical battles. My intent is to turn down the battles to “Normal” — the computer cheats on higher battle difficulties. Instead, I forget. As a result, the game so far has been entirely played on Hard. I’ve chosen the Takeda for two reasons. First, their location in central Japan will make for a nice change — I won my last Shogun 2 campaign (using the Fall of the Samurai expansion pack) as an outlying island clan. Second, I’ve been meaning to make more extensive use of cavalry in Total War games, a job for which the Takeda are well-suited — all their horsemen receive a bonus. The Takeda start in Kai province, a landlocked mountain pass that runs north/south. All cavalry trained in Kai will receive a bonus, courtesy of the province’s superior horse pastures; this stacks with the innate Takeda bonus to cavalry. To the north of Kai is North Shinano, also landlocked. It is home to the Murakami clan, who begin at war with me — you can see a small Murakami army near the border. To the south are Musashi province, home to modern-day Tokyo, and Suruga province, home to the allied Imagawa clan. To win the game, I have to hold 25 provinces, including Kai, Kyoto, North Shinano, and three other provinces all to the north of Shinano. Before then, I must face one of Shogun 2’s most distinctive challenges — realm divide. When I draw close to victory, most of the remaining computer players will declare war on me; I’ll need to build my empire around surviving that final difficulty spike. Welcome back to my Let’s Play of Shogun 2. 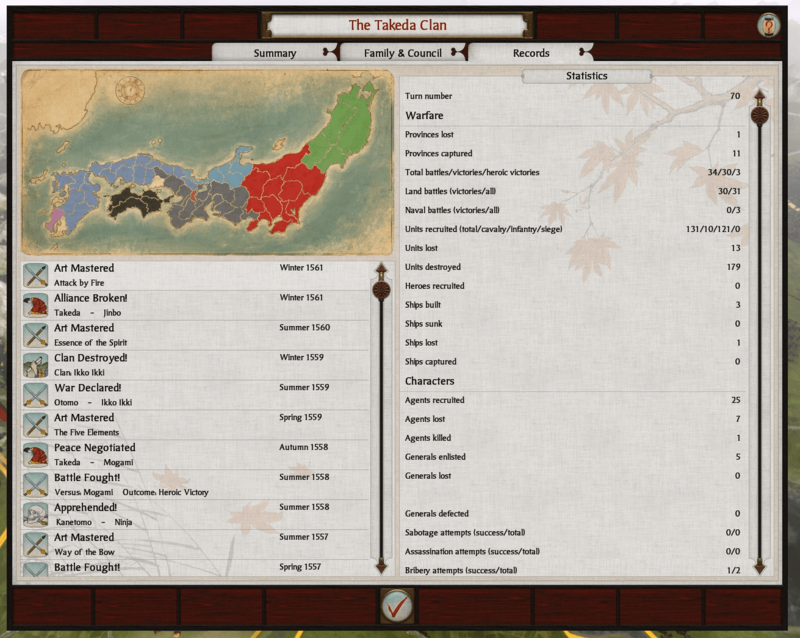 When we left off, my Takeda clan controlled a modest slice of Japan, to the north and west of modern Tokyo. To the east were my enemies: the Satake and Satomi clans. Further north were my old foes, the Uesugi clan; an uneasy peace prevailed between us, ever since I crushed their last invasion attempt. My previous victory against the Satomi in Part 1 gave me a window of opportunity. and so, my first order of business is to march east. Takeda Shingen, lord of the clan, is off on another frontier. Command falls to his two brothers: Takeda Nobushige in the north, leading his army out of North Shinano province, and Takeda Nobukado in the south, crossing the river from Musashi. Welcome to the final instalment of my Let’s Play of Shogun 2. In the east, my armies had just won their first victory against the Hatekayama clan (green). In the west, I was at peace; I shared my border with an allied clan, the Imagawa (grey), and a former ally, the Jinbo (light blue). Further west, past the Jinbo and Imagawa, was the single largest computer player: the Otomo clan (blue, also my ally). Once I resume the game, Takeda Shingen and his son Nobushige lead my eastern armies against the Hatekeyama’s remaining force.